The Defense Department says a 32-year-old sailor from Des Moines was among seven Americans killed last week when a U.S. military helicopter crashed during a firefight with insurgents in a remote area of southern Afghanistan. 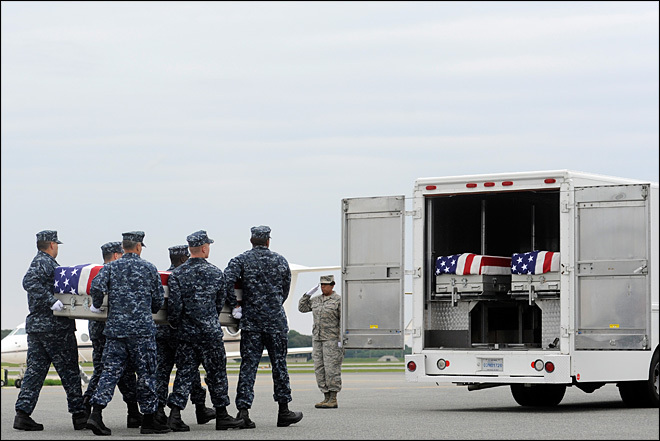 Explosive Ordnance Disposal Petty Officer Technician 1st Class Sean P. Carson died Aug. 16 in the crash northeast of Kandahar. He was assigned to an explosive ordnance disposal mobile unit in San Diego. Navy officials say Carson enlisted in May 1999 and graduated from boot camp at recruit training command in Great Lakes, Ill. in August 1999. His awards and decorations include the Navy/Marine Corps Achievement Medal, Navy Unit Commendation Ribbon, Battle Efficiency Ribbon, Good Conduct Medal, National Defense Service Medal, Armed Forces Expeditionary Medal and Sea Service Deployment Ribbon. In October 2006, Elder deployed to Iraq. Nine months later, medical records show, he was working as a gunner on a Humvee when it was hit by a roadside bomb. The explosion threw Elder out of the turret, causing him to lose consciousness momentarily. His buddy died in the blast. 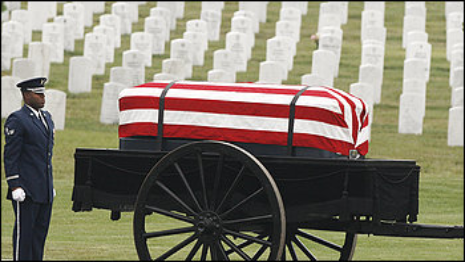 Afterward, at Elder’s request, he was allowed to go to the morgue to see the body of his friend who had died. “Patient crying heavily. Heard saying in heavy tears, ‘I don’t want to live anymore,’ ” a doctor wrote in a narrative summary. After he was returned to his room, the summary says, Elder became “instantly agitated after crying on bed” and struck a bulletproof window so hard that it shattered the glass. FORT BRAGG, N.C. (WTVD) — One soldier from the 525th Battlefield Surveillance Brigade is dead and two others are wounded following a shooting incident June 28, 2012. During a unit safety brief a Soldier shot another member of the unit and then turned the weapon on himself. The shooter was injured and is in custody. A third Soldier who was in the area was also slightly wounded in the shooting. “This is a tragedy for our community. We don’t yet know the reasons for the shooting, but are working with the unit and the affected Families to help them through this difficult period,” said Col. Kevin Arata, XVIII Airborne Corps and Fort Bragg Public Affairs Officer. FORT BRAGG, NC (WTVD) — Fort Bragg law enforcement said it is responding to a shooting incident on-post that occurred at about 3:30 p.m.
Officials urged drivers and pedestrians to avoid the historic district of Fort Bragg until further notice. The historic district is an area near Knox Street close to the 18th Airborne Headquarters and FORSCOM near the heart of Fort Bragg. Officials did not immediately release more information. Sources told ABC11 that an officer was shot during a formation. The officer’s condition was not known. VIRGINIA BEACH, Va. (WAVY) – The Navy confirms to WAVY.com that an F-18 jet has crashed in Virginia Beach Friday afternoon. Grazia Moyers, spokeswoman for the Virginia Beach Police Department, told WAVY.com just before 12:30 p.m. what police believe is a military aircraft has gone down. Cmdr. Phil Rosi with Naval Air Forces Atlantic told WAVY.com the plane was an F-18 with Strike Fighter Squadron 106. Rosi added two aircrew safely ejected from the plane that was based at Naval Air Station Oceana. Sentara Healthcare says one pilot is at Sentara Virginia Beach General Hospital. Police are responding to the scene at this time and will assist the military and the State Police, Moyer added. Virginia State Police have shut down Interstate 264 at Laskin Road in both directions, Sgt. Anaya with the VSP said. Virginia Department of Transportation traffic cameras showed thick, black smoke rising from the Birdneck Road area Friday afternoon around 12:30 p.m.
WAVY.com has a crew on the scene and will have more as soon as it comes in. [Updated at 1:14 p.m. ET] A Navy jet crashed Friday into some apartments near Virginia Beach, Virginia, sending flames and thick black smoke into the air, a military spokesman and a witness said. 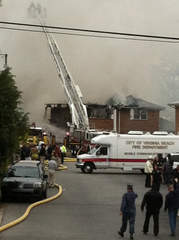 Two apartment buildings were on fire, CNN affiliate WTKR reported, citing witnesses. 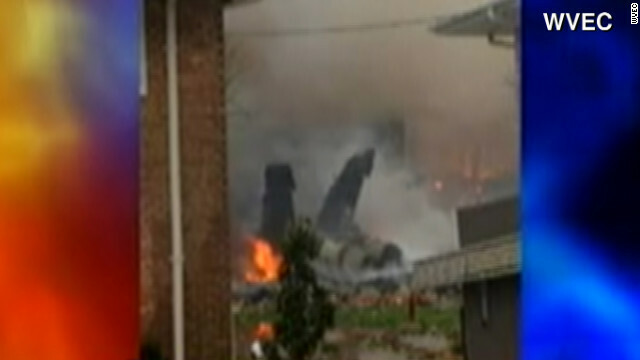 The jet was from Naval Air Station Oceana in Virginia Beach, the Federal Aviation Administration said. The crew of the two-seater F/A-18 safely ejected, but their condition wasn’t known, a Navy spokesman said. The plane is from a training squadron, the Navy said. George Pilkington, an eye witness to the crash, said he was the plane flying low, with its nose up and tail down, ejecting fuel – which struck him as unusual. The engine was straining, he said. “It came over the top of my truck emptying fuel,” Pilkington said. “That it didn’t cause more damage to the apartment buildings was a blessing,” he said. The plane crashed in an area of apartment complexes and homes in a resort area a half mile from the waterfront, Pilkington said. Black smoke and flames rose from the crash site. At least one building was damaged, according to video footage from CNN affiliate WTKR. A charred section of the jet wreckage was on the ground nearby. For years companies like Blackwater and Ronco Consulting have Misrepresented their employees as Consultants or Independent Contractors to the IRS to escape having to pay Social Security and Medicare payroll taxes. At the same time these same companies represented these same consultants and Independent Contractors to be employees for the purpose of purchasing the mandated Defense Base Act Worker’s Comp Insurance. Even going so far as to have contractors sign new backdated employment contracts AFTER they were injured. Fraudulent activity of this nature has garnered the full attention of the IRS to the Contract Employee much more so than it has the Contract Company. Blackwater even continued to do this after the IRS busted them. Bob Powers of Power Tax sends us this and asks that we warn all ExPats to be prepared. This link IRS has an important note regarding the definition of a foreign tax home (which is necessary to claim the Sec 911 benefit). The IRS has been using this in somewhat of a distorted way to deny the FEIE to contractors working in Iraq and Afghanistan,, not only those who have families in the U.S., but also single people who left home, joined the military and then were hired as contractors. If they did not plan in advance and take all the steps necessary to show that their abode was in a foreign country and not in the U.S. they are disallowing the exclusion. Many have had inexperienced tax preparers or did their own tax return and the case dragged on so long that they lost their administrative appeals rights and facing a substantial tax bill plus penalties cannot afford a good tax attorney to take it to Tax Court. As a result, the IRS is using their muscle to claim that these workers were living on a base and had no contact with the local community and therefore their “abode-which is not clearly defined anywhere) was in the U.S. Your tax home is the place where you are permanently or indefinitely engaged to work as an employee or self-employed individual. Having a “tax home” in a given location does not necessarily mean that the given location is your residence or domicile for tax purposes. You are not considered to have a tax home in a foreign country for any period in which your abode is in the United States . However, your abode is not necessarily in the States while you are temporarily in the United States . States , whether or not your spouse or dependents use the dwelling. either of the exclusions or the housing deduction. For several years, you were a marketing executive with a producer of machine tools in Toledo , Ohio . In November of last year, your employer transferred you to London , England , for a minimum of 18 months to set up a sales operation for Europe . Before you left, you distributed business cards showing your business and home addresses in London . You kept ownership of your home in Toledo but rented it to another family. You placed your car in storage. In November of last year, you moved your spouse, children, furniture, and family pets to a home your employer rented for you in London . neighborhood civic association and worked with a local charity. Your abode is in London for the time you live there. You satisfy the tax home test in the foreign country. Note that the IRS agents examining these returns are not seasoned international agents and their internal directive is to disallow the exclusion regardless of the taxpayer’s defenses and force it to go to Tax Court. We recommend you check out Power Taxes pages before you deploy. What a disappointment that this lawsuit never made it to discovery. The history of how this contract was managed deserved to be exposed. Ronco made this lawsuit go away, but this United Nations Board of Inquiries Report and others stand. 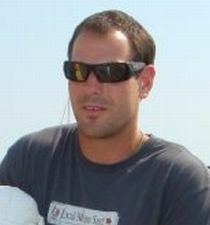 In August 2011, Blake Hannafan and Jim McGuinness settled a Personal Injury lawsuit on behalf of Stephen Fantham, arising from a traumatic leg amputation as a result of a land mine explosion in Sudan, Africa, against Ronco Consulting Corporation pending in the U.S. District Court for the District of Columbia. In addition, the settlement also included claims for loss of consortium to Mr. Fantham’s wife. The settlement was reached before Ronco even responded to the complaint. The terms of the settlement agreement are confidential. Federal delays in granting security clearances keep 10 percent to 20 percent of federal intelligence contractors from doing their intended work, wasting billions of dollars, a new report says. Contractors — many of whom are former federal employees who held clearances in the past — can wait weeks to months for a security clearance when they take on a new assignment with a different federal agency, according to the report by the Intelligence and National Security Alliance (INSA), a nonprofit group representing federal intelligence and military officials, as well as federal contractors. Agencies typically do not honor security clearances granted by other federal agencies, even though they are supposed to. While new employees wait, they still draw the plum salaries reserved for those with security clearances — doing nothing or work that doesn’t require special access. The Navy SEAL Foundation announced Tuesday that a Virginia Beach-based business has donated $1 million to a new fund dedicated to helping the children of commandos killed or wounded in combat – and the foundation is challenging donors to give twice that amount. ADS Inc. sells tactical and medical equipment to military and other federal agencies. The family-owned company got its start as an arm of the Lynnhaven Dive Center, which does lots of business with members of the special warfare community. Jim Smith, the foundation’s executive director, said there was an outpouring of support from individuals and companies after the death of 22 Navy special warfare personnel when a helicopter was downed in Afghanistan in August. But there also were a lot of upfront expenses to cover as families coped with loss. The foundation, a 501(c)(3) nonprofit organization founded in 2000, wants to address the ongoing needs of affected families, and it has learned they often need more assistance for a longer stretch than military benefits provide, Smith said. For instance, he said, SEAL wives who lost husbands in recent years told him their children often needed more than two years of grief counseling. Many rely on financial counseling arranged by the foundation as they plot new futures for their families. Some, surviving spouses need help covering expenses as they prepare to sell a house or complete a home renovation that their husband intended to finish. WASHINGTON – Armor Group North America Inc. (AGNA) and its affiliates have paid the United States $7.5 million to resolve allegations that AGNA submitted false claims for payment on a State Department contract to provide armed guard services at the U.S. Embassy in Kabul, Afghanistan, the Justice Department announced today. The settlement resolves U.S. claims that in 2007 and 2008, AGNA guards violated the Trafficking Victims Protection Act (TVPA) by visiting brothels in Kabul, and that AGNA’s management knew about the guards’ activities. The settlement also resolves allegations that AGNA misrepresented the prior work experience of 38 third country national guards it had hired to guard the Embassy, and that AGNA failed to comply with certain Foreign Ownership, Control and Influence mitigation requirements on the embassy contract, and on a separate contract to provide guard services at a Naval Support Facility in Bahrain. The settlement resolves a whistleblower suit filed in the U.S. District Court for the District of Columbia. The lawsuit was initially filed under seal by James Gordon against AGNA, ArmorGroup International plc, G4S plc and Wackenhut Services Inc. under the qui tam, or whistleblower, provisions of the False Claims Act, which permit private individuals, called “relators”, to bring lawsuits on behalf of the United States and receive a portion of the proceeds of a settlement or judgment awarded against a defendant. Mr. Gordon will receive $1.35 million of the settlement proceeds. During 2007 and early 2008, Mr. Gordon was employed by AGNA, as its director of operations. United States joined the suit. “The Department of State appreciates the work done by the Department of Justice and the Office of the Inspector General in bringing this case to resolution. The Department of State takes any allegation of contractor misconduct seriously and works as part of the inter-agency community to ensure it is adjudicated properly,” said Ambassador Eric J. Boswell, Assistant Secretary of State for Diplomatic Security. Assistant Attorney General West and U.S. Attorney Machen thanked the joint investigation team, which includes Special Agents with the Department of State Office of Inspector General, and representatives from the Department of State and the Department of the Navy, for their efforts in the investigation of this matter. As the sun blazed on a rocky southern Afghanistan hillside, Air Force Staff Sgt. Mark Badger watched his bomb squad teammate get blown up by a buried explosive device. 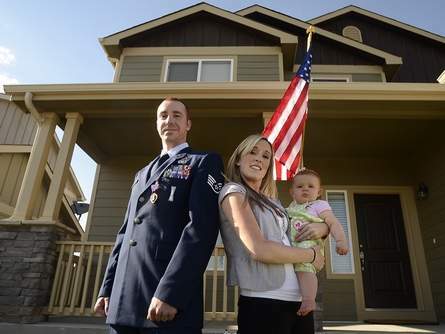 Moments earlier, Badger, 30, who was born and raised in Santa Rosa, had stepped away from Senior Airman Daniel Johnson along the road where they were clearing bombs in the violence-prone Kandahar province, a Taliban stronghold. Johnson took a single step in exactly the same direction Badger had just walked, and 40 pounds of chemicals packed in a plastic jug exploded beneath his feet. “I remember it like it happened yesterday,” said Badger, now stationed at Peterson Air Force Base in Colorado Springs, Colo. He lives near the base with his wife, Trisha, and their 8-month-old daughter, Scarlet, and still suffers headaches, confusion, sleep loss and other symptoms of brain injury from two bomb blasts in the span of three days last October. There are about 5,500 bomb techs in the four branches of the service, and their job is probably the most dangerous one in Afghanistan. Unable to match American firepower on the ground or in the air, the Taliban plant roads, fields and some buildings with IEDs (improvised explosive devices), most of them buried and triggered by pressure plates or by command wires up to a half-mile long. “Anywhere you step could be an IED that will blow off your legs or kill you,” Badger said. If you see this dog coming for you, run. Thanks to his extensive training–and customized body armor that can cost upwards of $30,000–he’s bulletproof, can hear through concrete, and can record high-def video of missions, even in the dead of night. The moment it was revealed that the “nation’s most courageous dog” served alongside the 80 Navy SEALs who took out Osama bin Laden, America’s fascination with war dogs has hit a fevered pitch. And while the heart-tugging photos of these four-legged heroes are worth a look, so is the high-tech gear that helps them do their job. 7 April 2011 – The United Nations has released the names of another 24 victims from Monday’s deadly plane crash in the Democratic Republic of the Congo (DRC) in which only one of 33 people aboard a UN plane survived. The UN investigation into the crash – which occurred as the plane was attempting to land in heavy rain and high winds at the main airport in the capital, Kinshasa, after a flight from Kisangani – is continuing. The General Assembly held a minute’s silence today in honour of the victims of the crash, as well as UN staff recently killed in the line of duty in Afghanistan, Côte d’Ivoire and Haiti. UN officials have been notifying the next of kin of the Kinshasa victims after identifying all the bodies. All four crew members and 28 out of 29 passengers died in the crash. The UN peacekeeping mission in the DRC (MONUSCO) lost 14 staff members, while staff working for the UN Development Programme (UNDP), the UN Office for the Coordination of Humanitarian Affairs (OCHA), the UN World Food Programme (WFP), the UN Office for Project Services (UNOPS) also lost their lives. The death toll also includes non-UN staff, including employees of the DRC Government, the Congolese electoral commission, the International Criminal Court (ICC), the International Rescue Committee (IRC) and contractor Pacific Architects and Engineers (PAE). Three UN Volunteers (UNVs) working for MONUSCO were among the victims: Carlos Manuel Bastos de Barros of São Tomé and Principe, who served as an electoral logistics officer; Jeroen Bervoets, a management assistant from Belgium; and Esinam Safo, an air operations assistant from Ghana. The mission lost two military personnel from Bangladesh – Major K.M. Ziaul Haque and Corporal Md Younus Meah – and an Ivorian UN Police (UNPOL) officer, Hyacinthe Die Vany. The other MONUSCO staff named included: Kadiatouo Thiero, an administrative assistant from Mali; Gracia Jonas Maforikan, an electoral officer from Benin. Five national staff working for various UN entities died: driver Alain Kipala Bangila (MONUSCO); nurse John Shebitu Mbembo (MONUSCO); database assistant Henri Badila Diangituka (OCHA); human resources assistant Numbi Kabange (OCHA); and logistics assistant Augustin Kasonga (WFP). Two members of UNDP’s electoral team did not survive – Blé Kacouchia, a chief technical advisor from Côte d’Ivoire, and Oumar Dia, an operations manager from Mauritania. UNOPS lost Jonas Somé, a physical security and stockpile management adviser from Burkina Faso, and Petrus Van Vuuren, a senior medical coordinator from South Africa. The Independent National Electoral Commission of the DRC lost two staff members, named as Lubacha Gustave Bianumba and Mwanaomba Shabani. Mendes Masudi, an adviser to the Congolese Foreign Minister, was also killed. The non-UN staff who died included two contractors with PAE – Jaco Dorfling and Randall Quickfall. Also killed were Boubacar Toure, a senior reproductive health adviser for the IRC; and Alain Lubamba Kongolo, a field operations liaison coordinator for the ICC. LAHORE – Hundreds of especially-trained CIA contractors who worked closely with Indian intelligence agency RAW and Israel’s Mossad in the Middle East, Asia and Africa over the last two decades are covertly operating across Pakistan these days, The Nation reliably learnt on Tuesday. Well-informed sources revealed that the Obama administration deployed more than 400 pro-India and pro-Israel CIA agents in 2010 in the big cities of the nuclear-armed country, including in Quetta, Peshawar, Lahore, Karachi and Islamabad. Sources believed that the American spies with pro-India mindset had been deployed in Quetta to fuel militancy in the largest but poor province of Balochistan while the US operatives who worked with Israeli agents before 9/11 had been sent to the country’s insurgency-hit region bordering war-torn Afghanistan. The Foreign Intelligence Estimates (FIE) cell of the CIA, which is responsible for training, brainwashing and recruiting individuals to launch intelligence networks outside the United States, had awarded special contracts to those security companies where the Indian and Israeli lobby is very strong. NEW CASTLE, Del. — Someone’s been in here, Robert Dill thought as he walked through his neighbor’s house on the morning of Dec. 30. That much seemed obvious even then — one day before his neighbor Jack Wheeler turned up dead at a landfill 7 miles away. Dill, 73, had gone to check the Wheeler house after noticing an upstairs window open. He remembered locking all of them when he and his wife had tidied Wheeler’s aged brick duplex a few days earlier. A former Pentagon official and a driving force behind the Vietnam Veterans Memorial, Wheeler traveled often — mostly by train between Washington, New York and New Castle. Dill sometimes watched the house when Wheeler was away. Speaking publicly for the first time about what he saw the day Wheeler vanished, Dill told USA TODAY that he wondered whether he had stumbled onto a crime scene. A side door to the house was open — not much, just a crack. Chairs had been knocked over, and the radios were silent. Dill had left them on a few days before. That’s how Wheeler liked it when he was gone: radios on and tuned to NPR. As he once told Dill, the sound made it seem as though someone was home. In the kitchen, broken plates sat in the sink. A tall plant had been overturned. And Wheeler’s cadet sword from West Point lay on the floor, unsheathed. Dill remembers a heavy dusting of Comet cleanser on the kitchen’s wood plank floor — and what he believes was the print of a bare foot in the powder. Had Wheeler, who battled bipolar disorder, simply become unhinged, trashed his house and left? That wasn’t the Jack Wheeler he knew, Dill says. If Wheeler’s home had been robbed, nothing seemed to be missing — not the sculptures nor the paintings Wheeler’s wife, Katherine Klyce, collected. Not the TV or the stereo.